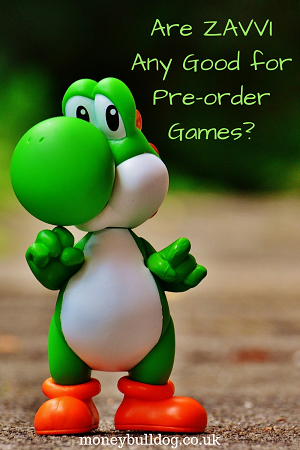 Are Zavvi Any Good for Pre-order Games? Zavvi are a company that I’ve known about for a long time now. I know this sounds a bit random, but I even ordered some socks from them once as they were really well priced. The problem was they took forever to arrive! After this, I sort of dismissed Zavvi and stuck to online retailers like Amazon* instead. Recently, though, I came across a really good pre-order deal from Zavvi* on the new Fifa game which I was planning to buy for my two boys. This got me to wondering, was my experience with Zavvi just a one-off or do they always deliver late? If I pre-order a game from Zavvi, will it arrive on time? Here is my personal experience of pre-ordering with the company. My first step was to get in touch with Zavvi to simply ask them the question. I asked them if they guarantee delivery of a pre-order game on release date? Their answer was that – while they do try their best to deliver on the day of release – they can’t guarantee it. This wasn’t exactly encouraging but I suppose it’s understandable. After all, anything can happen to delay things really. It’s therefore reasonable that they might want to cover their backs. With this in mind, I explained that I’d ordered from them in the past but it hadn’t been the best experience due to the slow delivery. At this point the online customer service person I was talking to apologised but explained that with Video Game and Film pre-orders, they do try their utmost to ensure that they get delivered on release date. I also read some online forums where people relayed their own experiences of pre-ordering with the company. On this note, it was good to see that other people really did recommend Zavvi for pre-orders. In many cases, they even preferred them to many of the other major online retailers. As it was such a good deal on the game, I thought I’d give them another try. So what was my experience of pre-ordering a game with Zavvi? Well, I have to say that it was a good one! Firstly, the online ordering process was smooth and it was really easy to order from Zavvi*. After ordering, it was easy to check the progress of my order by logging in and visiting the orders page. I usually like to pay via PayPal and this was not an issue with Zavvi as they accept it. They also don’t take the money from your PayPal account until the order has been fully processed. During the wait, the payment will simply show as pending in your PayPal account. Most importantly, though, did Zavvi deliver my pre-order game on time? Thankfully they did, much to the delight of my two young boys. As you can probably tell my experience of pre-ordering with Zavvi* was an extremely good one. I’d have no problems in recommending them to others as a good company to use for pre-ordering games or films. If this changes in the future then I’ll be the first to let you know but for now, I’d say that you can pre-order with confidence. Why don’t all delivery companies offer one-hour delivery slots? Accidental PlayStation Delivery – Would you return it? Do You Need to Be a Member to Buy Manchester United Tickets? Is now the time to get your financial house in order?